Granular computing uses granules as basic units to compute with. Granules can be formed by either information abstraction or information decomposition. 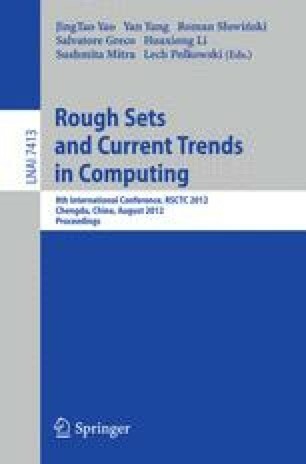 In this paper, we view information decomposition as a paradigm for processing data with complex structures. More specifically, we apply lossless information decomposition to protein sequence analysis. By decomposing a protein sequence into a set of proper granules and applying dynamic programming to align the position sequences of two corresponding granules, we are able to distribute the calculation of pairwise similarity of protein sequences to multiple parallel processes, each of which is less time consuming than the calculation based on an alignment of original sequences.